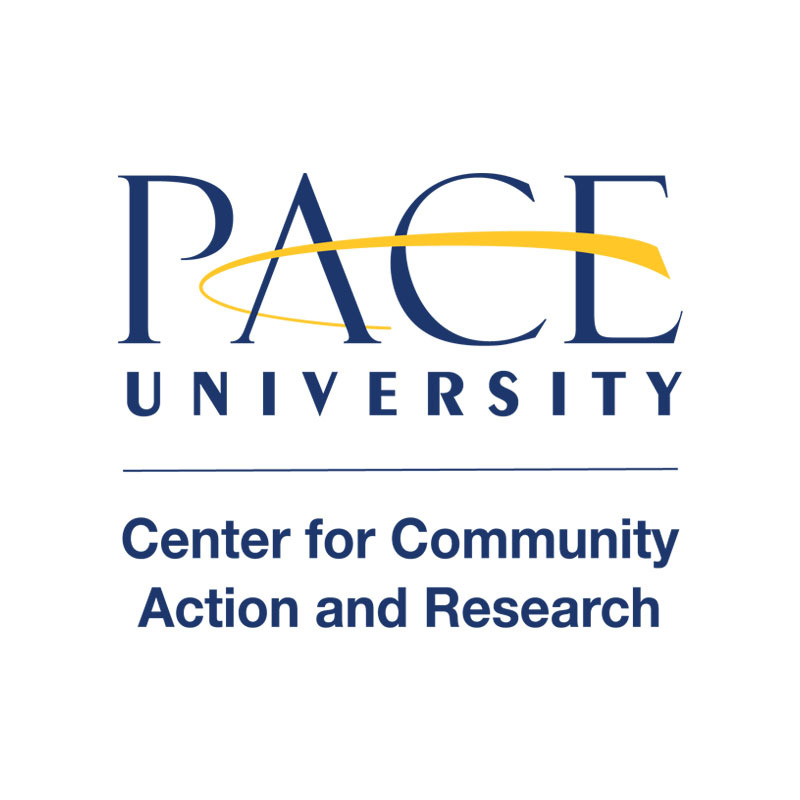 The Center for Community Action and Research and Vote Everywhere at Pace is launching a take action on gun violence campaign. 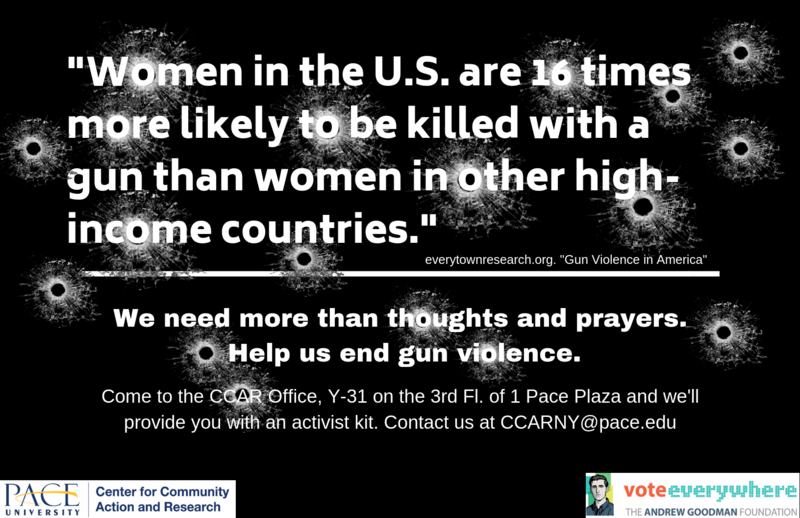 The CCAR and Vote Everywhere will be partnering with student organizations to raise awareness on campus about the gun violence that is plaguing the United States. 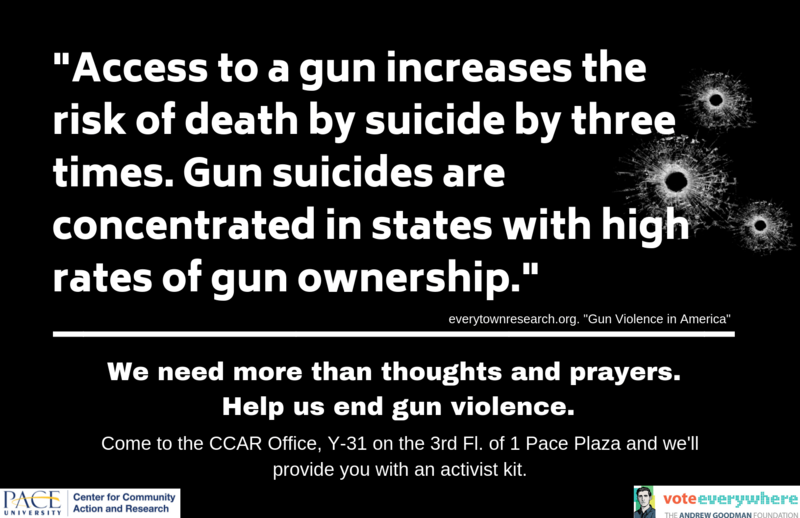 The goal of this campaign is to petition New York Senators Charles Schumer, Kirsten Gillibrand, and Representative Nadler, encouraging them to take action on gun violence and repeal the Dickey Amendment. David Le ‘19, a former CCAR Student Volunteer & Advocacy Projects Coordinator, wrote a thoughtful opinion piece on this issue. The Dickey Amendment is a provision that was added to United States spending bills in 1996. The amendment states, “[n]one of the funds made available for injury prevention and control at the Centers for Disease Control and Prevention (CDC) may be used to advocate or promote gun control.” Prior to the Dickey amendment the CDC could research firearms and violence. The Dickey Amendment was introduced by the National Rifle Association to politicians through intense lobbying, until it was passed in Congress. Repealing the Dickey amendment would allow for the CDC to research gun violence and share the data and its effects on public health and communities. Repealing the Dickey amendment would not have any effect on the second amendment and the right to bear arms. Interested in making a difference? 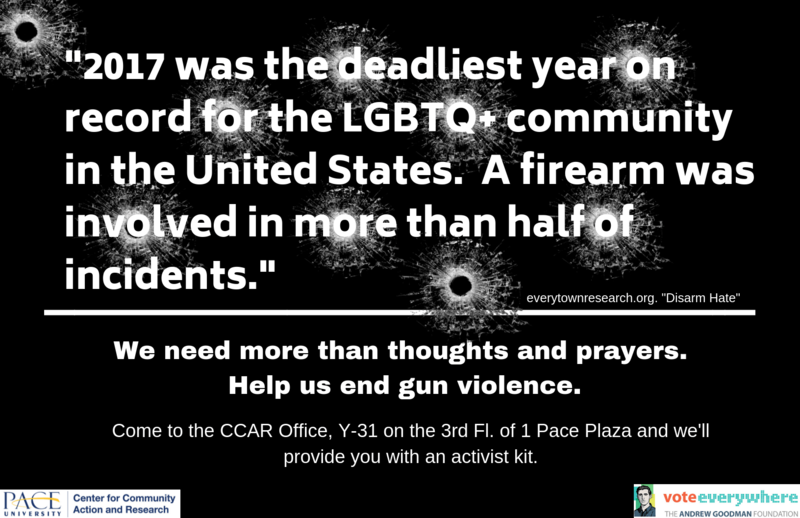 The CCAR has activist kits ready for students who want to get involved. Student leaders from organizations who would like to co sponsor the campaign are encouraged to contact the CCAR on how to do so. What do doctors think of gun violence?